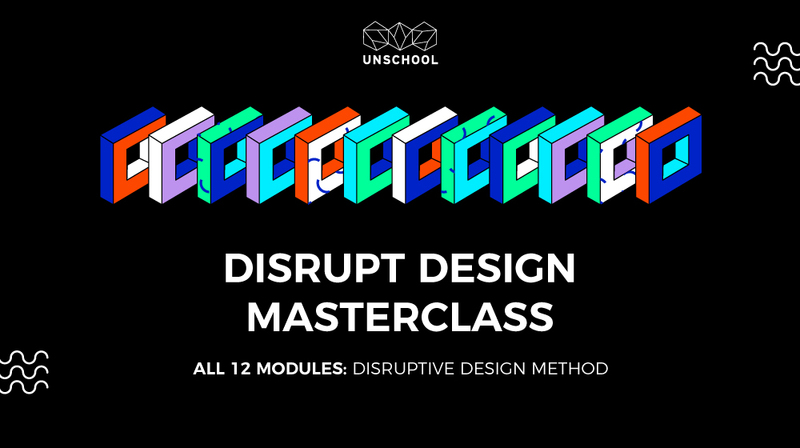 Dive into the full 12-part core series of the Disruptive Design knowledge set and learn how to apply the Disruptive Design Method to activate positive social and environmental change. In this full program pack you also get all 4 of our creative change maker e-book series written by Leyla Acaroglu. This masterclass is perfect for anyone wanting to dive deeply into their creativity capacity to make change by learning concepts, history, myths, and research on systems thinking, sustainability, cognitive science, and much more. But in our courses you do much more than build brain power, you get tools and support to lead creative interventions for a healthier community and planet. SYSTEMS THINKING: Develop your ability to understand and explore the dynamic systems at play around us, seeing how they interconnect and influence the larger wholes. CREATIVE INTERVENTIONS: Develop personalized practices in dynamically designing and intervening in systems for positive social change. REFLEXIVITY: Develop reflexive thinking to build your innate ability to think through the circular relationships between cause and effect and help build creative autonomy. PROBLEM-LOVING MINDSET: Discover how every problem holds its own solution. CRITICAL THINKING: Develop critical analysis skills for clear and rational thinking to intellectually evaluate and synthesize information through observation, experience, reflection, and reasoning, all of which guide belief and action. The Disruptive Design Methodology is a knowledge set created to help you make change in the world around you. In order to identify your own pre-established thinking, restructure the relevance, and then build new knowledge, you need to hone in on your reflexive, critical and systems thinking skills. You need to initially establish what you think, develop a reflexive practice around challenging or questioning those thoughts, and then be able to construct new understandings from other perspectives and ideas in that arena. Developed by sustainability provocateur and creative protagonist, designer, and sociologist, Dr. Leyla Acaroglu, the Disruptive Design Method is a holistic approach to complex problem solving that combines sociological inquiry methods with systems and design thinking approaches. It is a method of developing systems interventions that enact social and sustainable change. This masterclass program is best suited for any rebel with a cause who wants a useful toolkit to shift perspectives and affect change. If yo have taken one of our courses or come to one of our programs and you want more, this full set is highly recommended. Not only do you learn core concepts and skills in fun, manageable chunks, but you can really build your tacit knowledge through the deliberate layers of Disruptive Design learning. Our programs are all about activating positive social change in the world around us and are not just for designers! We make sure the content is accessible to all current or soon-to-be change makers. 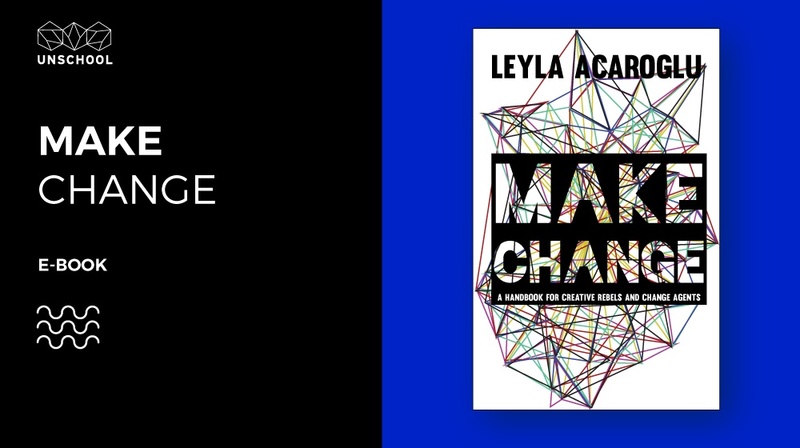 You get access to the entire 12 modules, bonus content, and all of Leyla's handbooks on how to make change. You have 365 days to feast on all the juicy brain food. Then get ready to use your talents to design a better future that works for all of us!